height 2.00 – 2.50 m, yield up to 850 gram. harvest end of September, half of October. This strain was created by K.C. Brains Seeds exclusively for indoor cultivation. She represents a stable sativa dominated hybrid of a Mr. Swiss and a Double K.C. 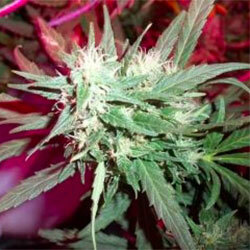 Possessing typical sativa qualities, this cannabis variety is, yet, positively different from all the others. 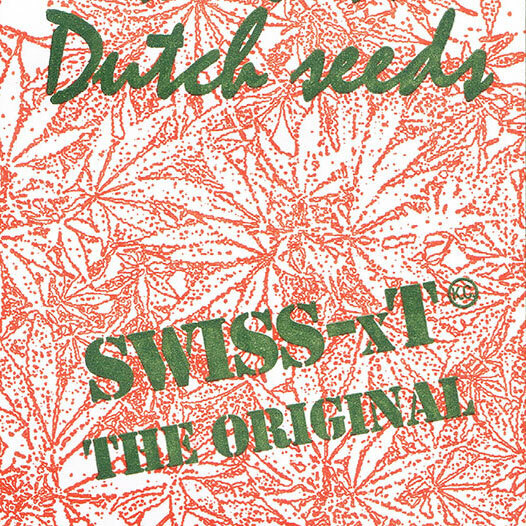 Like any other sativas, Swiss-xT® seed produce plants with narrow light green leaves situated spaciously around a thin sturdy stem. However, this particular strain will not stretch up and remain as petite as just 80 cm. The leaf to bud ratio is perfectly balanced, buds have plenty of space and light to fully develop. After a relatively short time for a sativa flowering period that lasts 49-60 days, Swiss-xT® is ready to harvest. It’s worth trying to give her another week for the best result. You won’t be disappointed as she produces compact firm buds covered with white shiny crystals full of THC. She is said to contain as much as 18% of this valuable stuff. The average yield is 130 gr. per plant. Shortly after the first flowers begin to form, plants will start producing a nice hash aroma, strong enough to be noticed and, yet, pleasant enough not to smell you out of your home. The smell, however, will increase during the maturing period. Typically for a sativa, Swiss-xT® has higher content of THCs and little CBDs which brings cerebral, soaring type of effect, more energetic, creative and active.